Portal Hall skirts the Wuzhen Grand Theatre, essentially functioning as an annex. 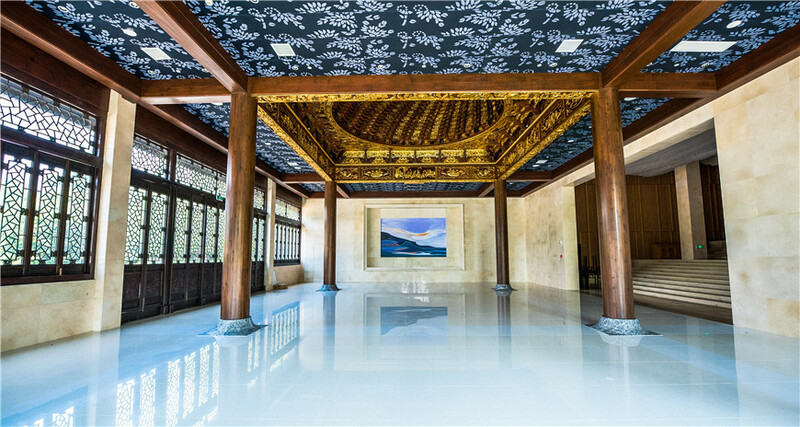 Forming the first impression for visitors arriving at the Grand Theatre, the Hall ingeniously combines the characteristics of the town of Wuzhen itself, with its well preserved and richly ornamented traditional buildings incorporating elements of modern design. 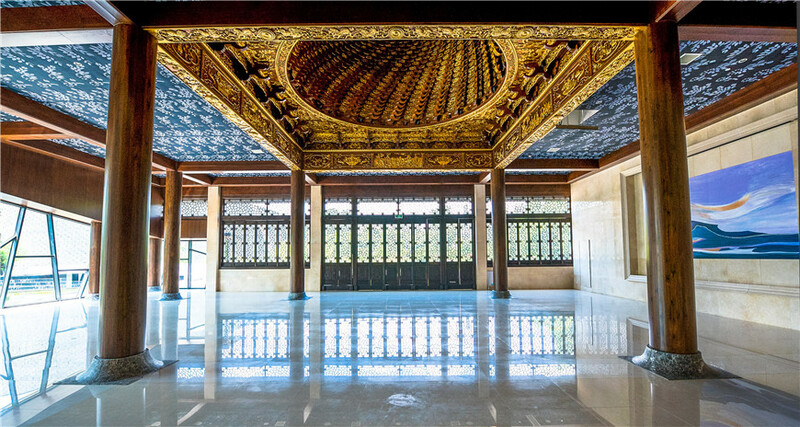 Portal Hall is used for exhibitions, press conferences and banquets, and it will be used as a performance space during the Festival. With the stairs serving as seats, and effective acoustics produced by the dome, the function of this space is being further developed for theatre. This year at the Wuzhen Theatre Festival, Big D and Papa’s Time Machine will be performed in this space.